I’m very excited to announce a new advanced extension called Folders. 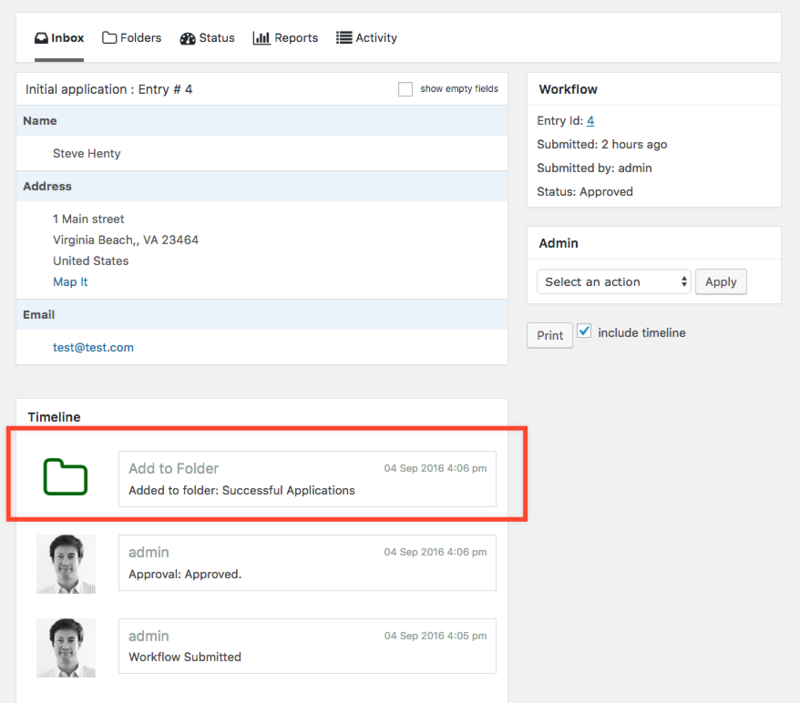 The Gravity Flow Folders Extension (currently in beta update: 1 Jan 2017 now available for purchase) allows Gravity Flow administrators to organise workflow entries into logical or arbitrary groupings and display them on the front-end using the shortcode as well as via the WordPress admin UI. Would you like to help test the beta? If you’d like to help test the Gravity Flow Folders Extension pleased download it using the link below and install it without entering any license details. UPDATE: 1 Jan 2017 – the beta period has ended. The Folders Extension is now available for purchase. Please log in to report all issues via the support form.